With week 1 officially upon us, it's time to start making final preparations with the beginning of the 2015 NFL season now just about 48 hours away. 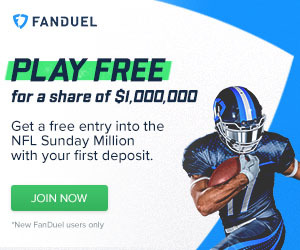 We will be delivering our weekly rankings throughout the season in an attempt to provide extra help to our readers and fantasy owners across the landscape. Any and every resource can assist managers as they make those tough decisions heading into week 1, with an exciting slate of games on deck, starting Thursday night as the defending champion Patriots play host to the Steelers. Tight end is a position that can help make or, sometimes hold back a team from reaching its full potential. The position is as top-heavy as ever, but there are some enticing options and valuable players near the middle of the pack who may be a bit underappreciated. Additionally, those who have targeted Jimmy Graham and Julius Thomas (who is OUT for week 1) in years past will be eager to see how those playmakers perform in their new settings. 1. Rob Gronkowski vs. PIT- Gronk is a shoe-in for the top spot in our rankings, and could stay there for the balance of the regular season barring injury. With Tom Brady's suspension now a thing of the past (can we please move on?) Gronk is firmly locked in to his usual role in the Pats' offense, and should once again deliver the goods. He's entering a season healthy for what seems like the first time in ages, so that must be seen as a bonus. 2. Martellus Bennett vs. GB- Bennett's place in our top-5 may be seen as somewhat high, but taking all things into consideration, the former Cowboy and Giant could be in for a big week 1 as Alshon Jeffery battles a calf injury. The Bears' depth chart at receiver has taken a hit, following the placement of rookie Kevin White on the PUP list, and the offseason shipment of Brandon Marshall to the Jets. Bennett will be penciled in for a big workload, and has a chance to hit the ground running against Green Bay. 3. Greg Olsen @ JAX- Like Bennett, Olsen is likely to face a voluminous workload --just as he did a season ago-- as the Panthers enter 2015 without Kelvin Benjamin. They will be relying upon an unproven and vastly inexperienced receiving corps, leaving Olsen to operate as a chain-moving security blanket for Cam Newton and the Panthers' offense. Olsen finished 2014 as a top-5 tight end, and barring injury, we see no reason for that trend to continue into this season. 4. 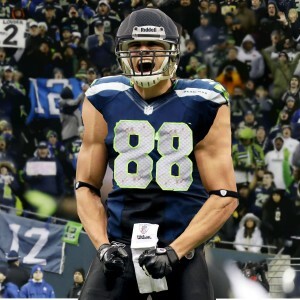 Jimmy Graham @ STL- The Seahawks' newest weapon should continue to thrive as a dynamic playmaking threat all over the field, particularly in the red zone. Graham can thrive off of Russell Wilson's mobility and ability to improvise. Pete Carroll gets the most out of his talent, so the potential for Graham to continue to put up huge numbers is there. Jimmy Graham hopes to continue to thrive as Seattle's newest TE weapon. 5. Travis Kelce @ HOU- Kelce is another TE who can help his team overcome a largely unimpressive receiving corps. Jeremy Maclin should see plenty of targets on the outside, but Kelce, as he showed last season, has developed into quite an impressive TE, and thrives as more than just a red zone or intermediate threat. He can create matchup problems for defenses, and the Cheifs will look to him often. Alex Smith loves to play it safe with the ball, and Kelce's hands are as safe as they come. 6. Jason Witten vs. NYG- We just can't quit you, Jason. Neither can Tony Romo. 7. Jordan Cameron @ WAS- Same face; new place. Cameron will pick up the slack vacated by Charles Clay's offseason move to Buffalo. 8. Tyler Eifert @ OAK- Looking to bounce back from a lost season, and has a nice matchup against the Raiders right out of the gate. 9. Delanie Walker @ TB- Quietly finished 2014 as a top-10 TE, and could be a nice asset for rookie QB Marcus Mariota. 10. Ladarius Green vs. DET- Big chance for Green to shine while Antonio Gates serves out his 4-game suspension. 14. Kyle Rudolph @ S.F. 27. Eric Ebron @ S.D. 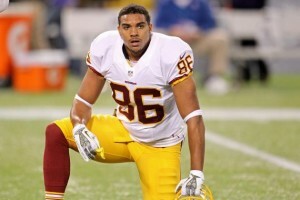 Jordan Reed can put up big numbers when healthy. Crockett Gillmore- Time to shine now that Owen Daniels has moved on to Denver and Dennis Pitta having been placed on the reserve/PUP list? Kyle Rudolph- If (as always, a giant "if") he can stay healthy, Rudolph has a chance to gel with Teddy Bridgewater. Clay Harbor- Should see the majority of the targets while Julius Thomas sits out at least the first 3 games of the season. Austin Seferian-Jenkins - Chance to form early chemistry with rookie QB Jameis Winston. Keep an eye on the injury reports and any last-minute changes to depth charts across the league. TE isn't a position that will set your team head-and-shoulders above the rest in your league, but a productive TE can be an invaluable asset to a successful fantasy football season. Good luck to all in week 1 and throughout the season!